Today I received my first Christmas card for 2013. It was very touching and I wasn’t expecting anything from this sender. I fell into the Christmas spirit right then. 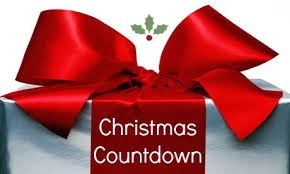 So, I decided to share all my Countdown to Christmas activities and craziness; you know me there is much craziness. I will share the things I receive and the preparations for Christmas. Hope you all enjoy and comment freely. This Christmas, as you consider all the awesome things that have come to you through Jesus, God’s perfect gift, remember that it is but a taste of all the good things that are yet to come.